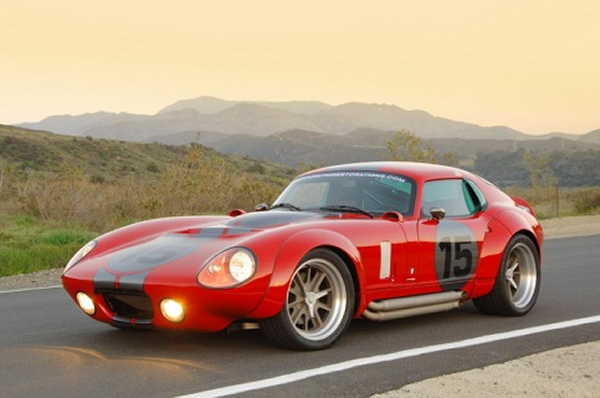 The Shelby Daytona Coupe is regarded as one of the greatest cars in American motorsports history. With an aerodynamic body created by top designer Peter Brock it’s good for 196 mph, Shelby’s Ferrari-basher dominated the 1965 race season on its way to winning the FIA GT World Championship – and remains the only American car to achieve the feat. While getting your hands on one of the original six race cars will cost millions, there are some more affordable solutions. 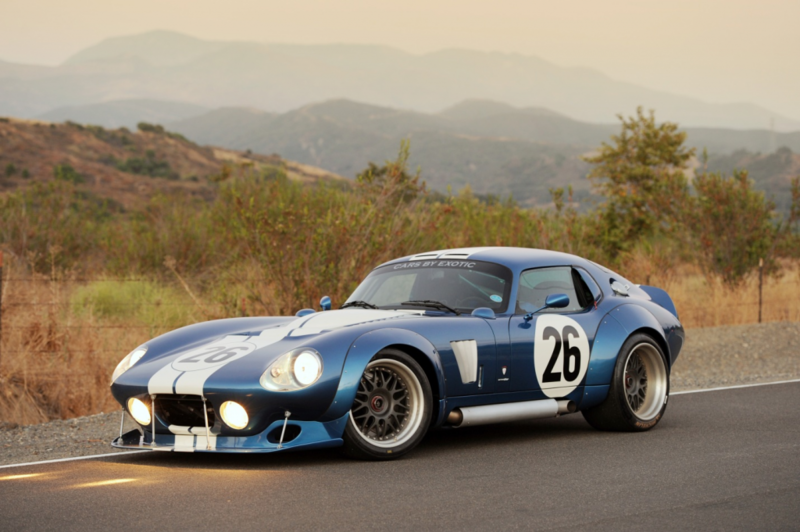 Daytona replicas are nothing new but American-based Robertsham LLC (Exotic Auto and Restoration) has come up with a unique interpretation of the famous Shelby named the Daytona Coupe Le Mans Edition. Based on the Shelby Cobra Daytona Coupe built by Robertsham from the ground up the Le Mans Edition package gets extra goodies including fender flares, wider 18-inch wheels and tires, heavy-duty suspension, billet aluminum hood intakes, Alcantara leather, brushed aluminium dash with aircraft-style toggle switches, bespoke gauges, and a suede Momo steering wheel. Powertrain options include any Ford V8 based on the Windsor 351 block, like the 530-horsepower Roush 402R packed into the pictured car or any Chevy based V8 like the LS3 or LS7. Suede Momo racing steering wheel. If that still isn’t enough speed for you, Robertsham LLC also offers a race-spec version, the LeMans GTR, that also gets a 6-point roll cage, weight reduction, quick-release steering wheel, upgraded brakes, carbon fibre front splitter and rear diffuser, Shelby aluminium block 427ci V8 with 560 horsepower, and more. Only six of these Race cars will be built, to commemorate the six original racecars. Full dry sump lubrication system. The Daytona Coupe LeMans edition is available in kit form and start at $59,995.00 where the LeMans GTR is only available as a complete car.